There is just something special about the first child. That’s how we feel about WubbaNub Red Dog. He’s snuggly and always well behaved. That’s why you can take him everywhere. 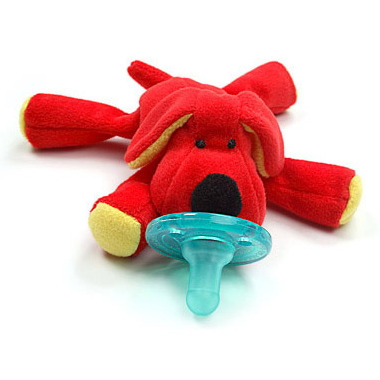 Happy and bright this super soft plush, WubbaNub™ Red Dog will be sure to capture the attention of all babies! Its unique style allows pacifier to remain close and will easily position to baby. My little one has a hard time keeping this one in his mouth. He is not interested in holding it so it was a bust for us but it is really adorable.